For taxpayers filing their 2018 New York tax returns, New York personal income tax rules are very similar to federal income taxes for individuals. 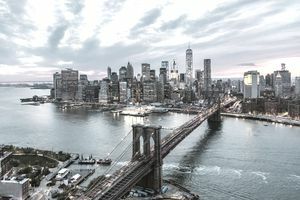 New York only deviates from the federal rules in a few ways, such as exempting pension income and adding deductions for college tuition and college savings. New York also has several tax credits that will help out homeowners and those with children. Contributions to New York’s 529 Plan: You can deduct up to $5,000 ($10,000 if married filing jointly), or the actual amount you contributed whichever is least. College Tuition: You can either take a deduction or a tax credit for college tuition in New York. Only tuition paid for the undergraduate enrollment or attendance at an institution of higher education is deductible. This includes expenses paid using a qualified state tuition program (like New York’s 529 College Savings Program). You cannot deduct things like room and board, books, or activities, even if their purchase is required by the school. Government pension income from New York state or local government, the federal government (including social security benefits), and certain railroad pensions are not taxable in New York. If you have income from a private pension and are over the age of 59 and a half during the tax year, you may qualify to exclude up to $20,000 of your pension income from taxes. The New York Department of Taxation and Finance has more information for senior citizens and retired persons available on their website. New York uses a bracketed system in which tax rates increase as income increases. New York’s tax rates range from a low of 4% for those with taxable incomes of $16,000 or less to 8.97% for those making $500,000 or more. The widest tax bracket is the 6.85% bracket for those with taxable incomes of $40,000 to $300,000. Child and Dependent Care Credit: This is a credit for expenses for the care of a child or dependent while you work or go to school. The credit amount is between 20% to as much as 110% of the federal credit, depending on the amount of your New York State adjusted gross income. This credit is refundable for New York residents only. College Tuition Credit: A credit is available for up to $400 per student for qualified tuition expenses. You can either take this credit or the college tuition deduction, but not both. A worksheet is available to help you decide which option will offer you more tax savings. This credit is refundable. Earned Income Credit: You can take this credit if you claimed the federal earned income credit and have investment income of $3,100 or less. The New York State earned income credit is equal to 30% of your allowable federal earned income credit and is reduced by the amount of any household credit you are allowed. This credit is refundable. Household Credit: If you have an AGI of $28,000 or less for single filers and $32,000 or less for married filing jointly, you can qualify for this credit. The credit amounts range from $20 to $90 plus an additional $5 to $15 for each exemption claimed on your return. Empire State Child Credit: This is a credit for those with a qualifying child. The amount of the credit is the greater of 33% of the portion of the federal child tax credit attributable to qualifying children, or $100 multiplied by the number of qualifying children. This credit is available to single taxpayers with an adjusted gross income (AGI) of $75,000 or less and married filing jointly taxpayers with an AGI of $100,000 or less. Noncustodial Parent Earned Income Credit: This credit is for full-time New York residents who have a child that does not live with them for whom they pay child support for at least half of the year. You must be current on child support to qualify. The amount of the credit is the greater of 20% of the federal earned income credit (EIC) that you could have claimed if the child lived with you or 2.5 times the federal EIC you could have claimed if you met the eligibility requirements with no children. This credit is refundable. Real Property Tax Credit: Taxpayers who meet income limits can claim a credit for real estate taxes paid on property valued at $85,000 or less. It is available to either homeowners or renters who paid property taxes and meet eligibility requirements. The maximum credit amount is $375. If you live in New York City or Yonkers, your city income taxes are paid on your New York State income tax return. Forgetting to include these taxes is one of the most common mistakes made on New York income tax returns. New York income tax returns are due by April 15th. If you need to file an extension, it must also be submitted by April 15th. Remember, extension requests only extend your time to file your return, not to pay your taxes, so make sure your estimated tax liability is covered. You can find forms on the New York Department of Taxation and Finance website and can submit your return through the mail. Another alternative for a faster refund and more accurate return is to E-file through the state’s website. Payments can be made electronically, and you can choose to receive your refund through direct deposit to get it even faster.